We’re only halfway through Hulu’s unofficial Karate Month celebration, and the streaming service has already announced the new titles you’ll be able to stream in April. 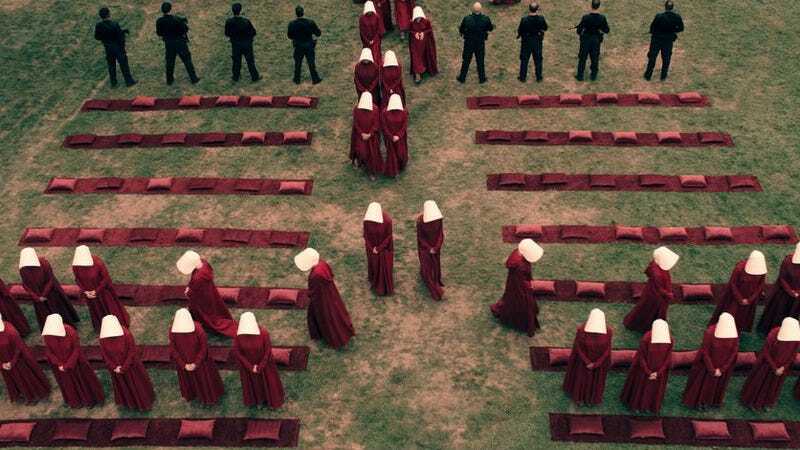 Sadly, there isn’t as much of a clear theme as there was for March, but Hulu is getting the premiere of the highly anticipated adaptation of Margaret Atwood’s The Handmaid’s Tale at the end of the month. Maybe rampant, apocalyptic misogyny is the theme? Barely any of the new movies or TV shows fit into that mold, but isn’t everything about rampant, apocalyptic misogyny in a way? Misogyny aside, Hulu will also be adding the three original RoboCop movies, Michael Showalter’s Hello, My Name Is Doris, The Babadook, and the Disney Channel originals Johnny Tsunami and The Even Stevens Movie. Plus, you’ll finally be able to watch the premiere of Dimension 404, Hulu’s star-studded response to Netflix picking up the rights to Black Mirror. The full list of what’s coming and going in April is below.